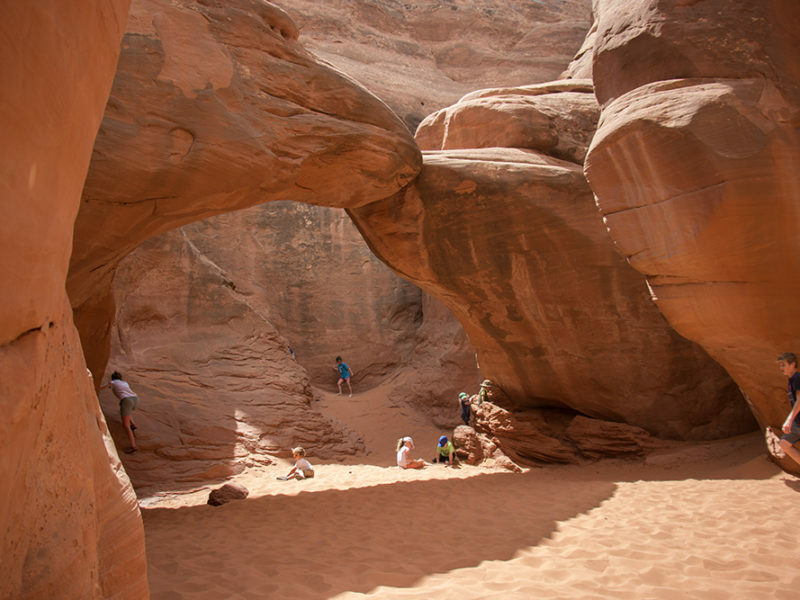 Sand Dune Arch is a fantastic hike to a big rock arch at Arches National Park. The trail is super short, only 0.3 miles roundtrip. 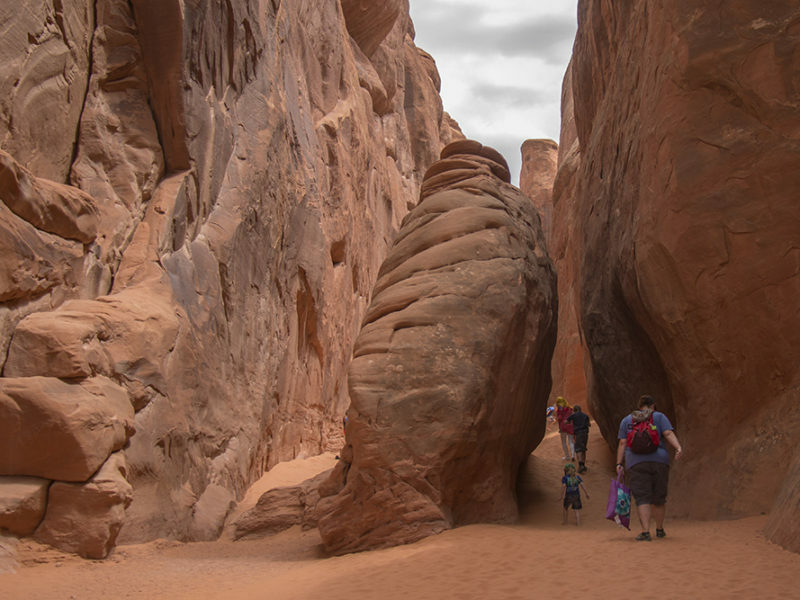 It’s mostly trudging through fine sand, but you also get to hike through a small slot canyon to get there. 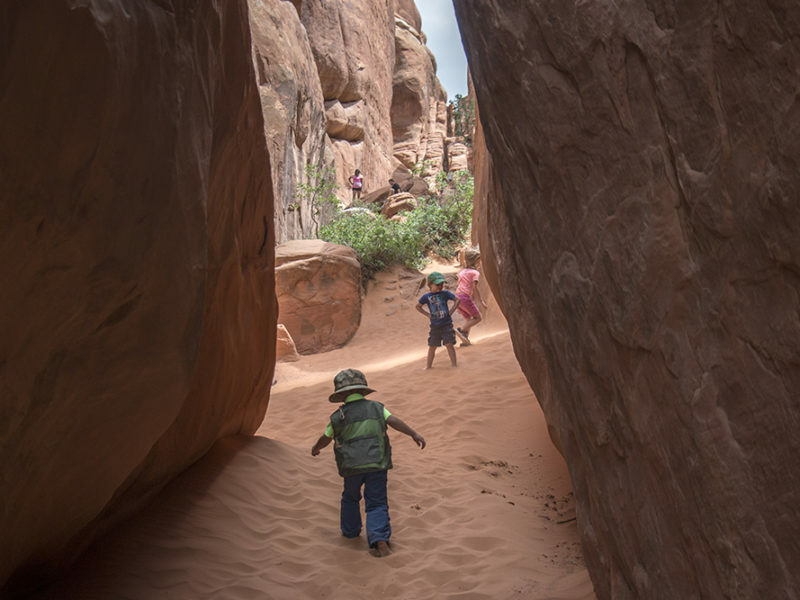 Once you get to the arch, there’s a wide, open space where kids can climb on some low rocks or simply sit in the sand and play. Depending on the time of day you’re there, you’ll probably be greeted with lots of shade too. The only time this trail might be a bummer is if it’s really windy. The wind can sometimes blow into faces and make for a somewhat miserable hike. The sand may also be hot in the summer. 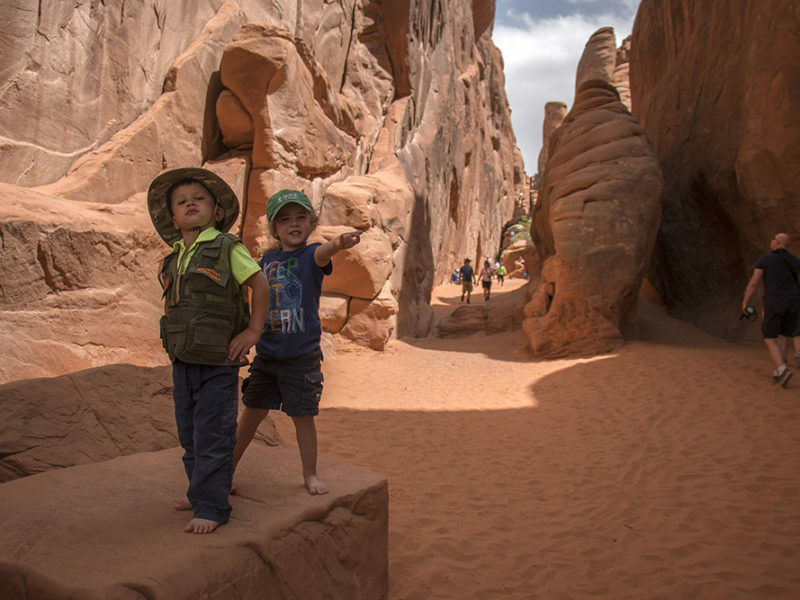 Depending on the time of the day during your visit, this hike may have lots of shade. The wide sandy area is a wonderful natural playground. 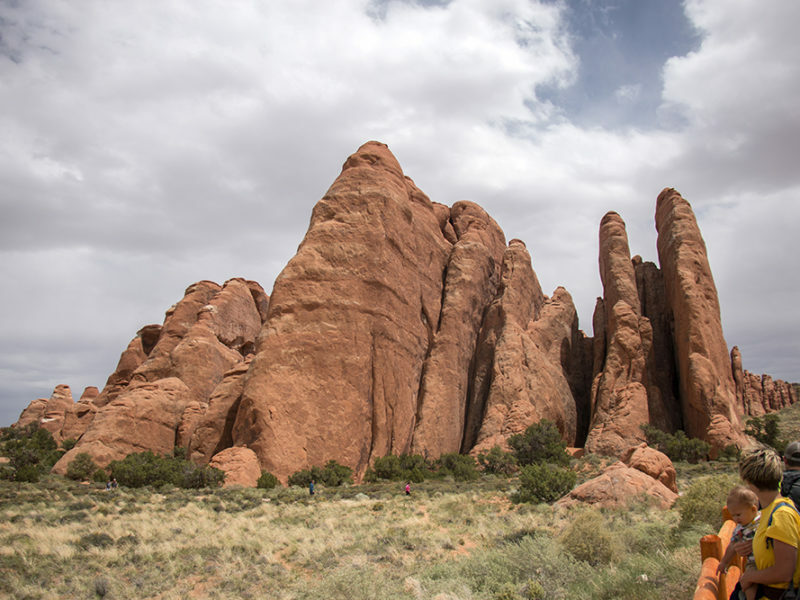 Arches National Park has a great visitor’s center. If it’s windy, you may end up with sand blowing in your face. 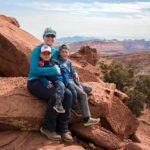 Something to consider when hiking with littles. In the summer, the sand may be hot too. 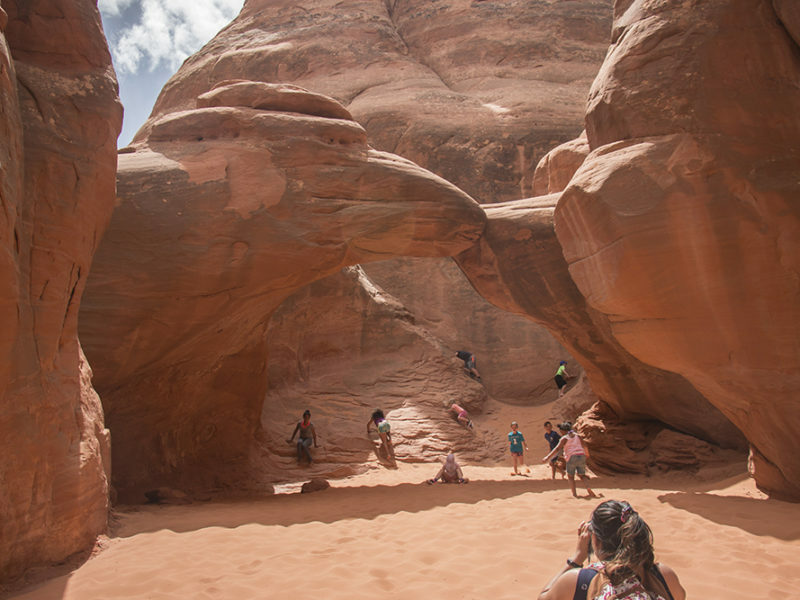 Some visitors come to Sand Dune Arch for birdwatching. 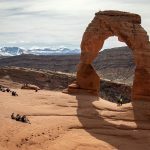 There is a $30 per car fee to enter Arches National Park. There is a decent amount of parking at the trailhead.